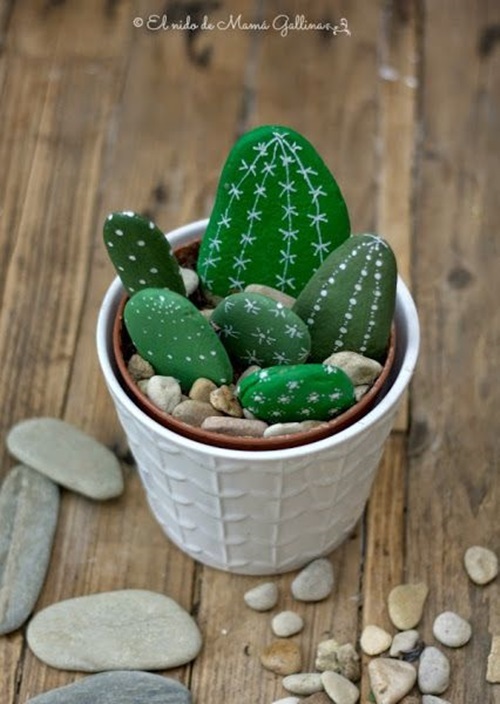 Can you tell if they are real cactus? 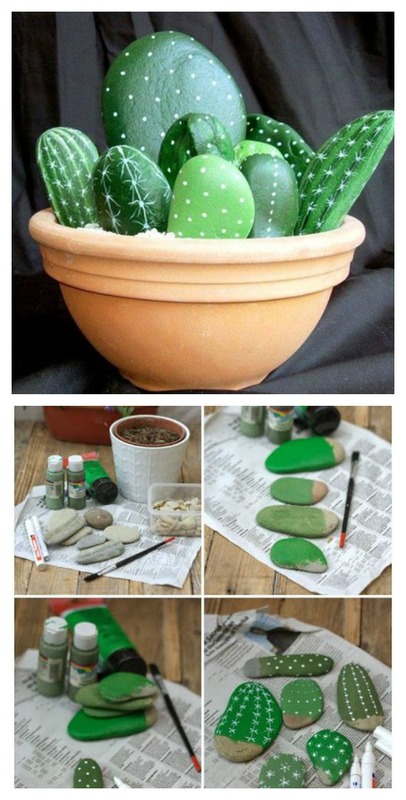 Can you imagine that you can have everlasting, non-thorny cactus with only rocks and acrylic paint? 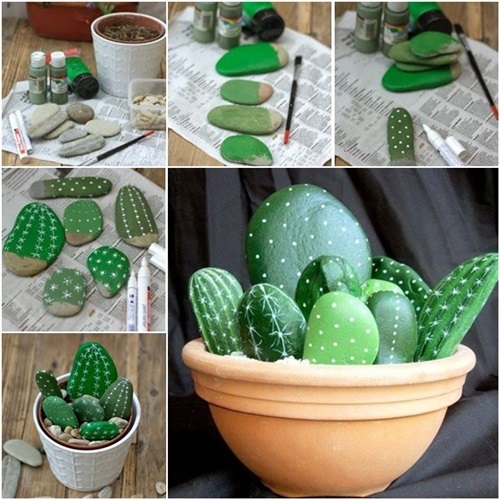 You can use them to decorate any corner of your home or office with its bright colors. Check out the pictures and video how you can make one.